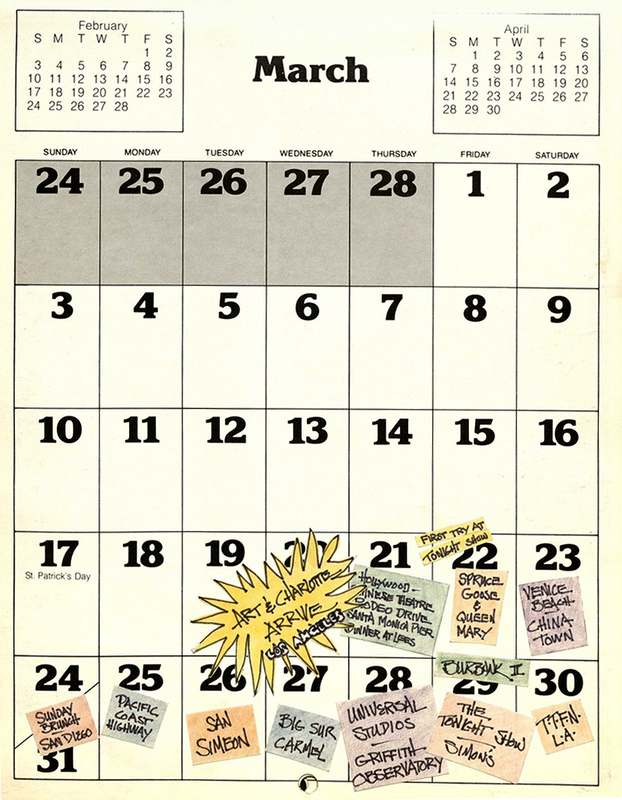 Many people enjoy the yearly ritual of choosing a calendar, date book, or planner in which to note their daily activities. 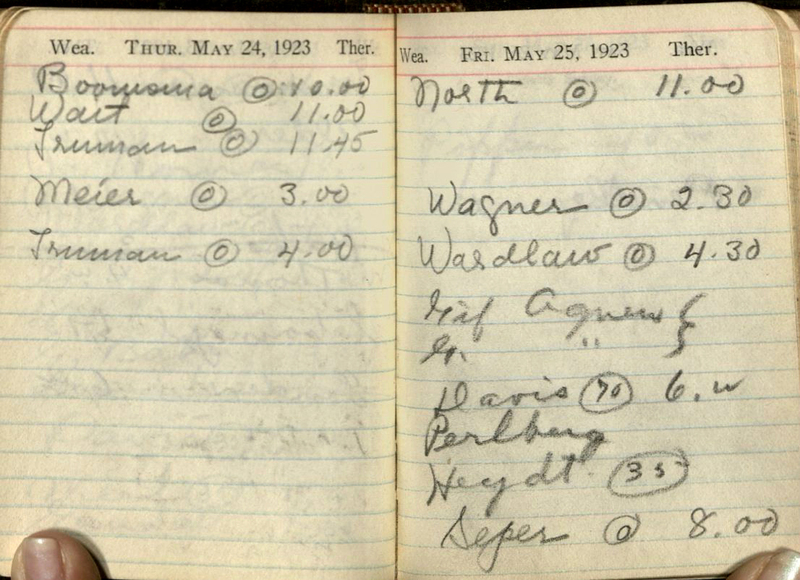 These seemingly innocuous notes and scribbles can sometimes reveal interesting details about people's interests, social and professional lives, priorities and goals, and other details that shed light on their lives. 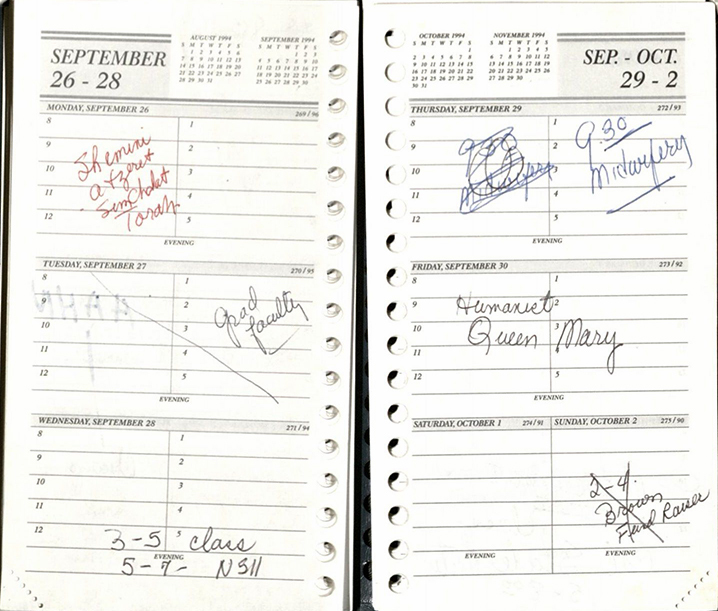 While the paper may be plain, an individual’s character or personality can be distinguished by the ways in which they mark events and activities. 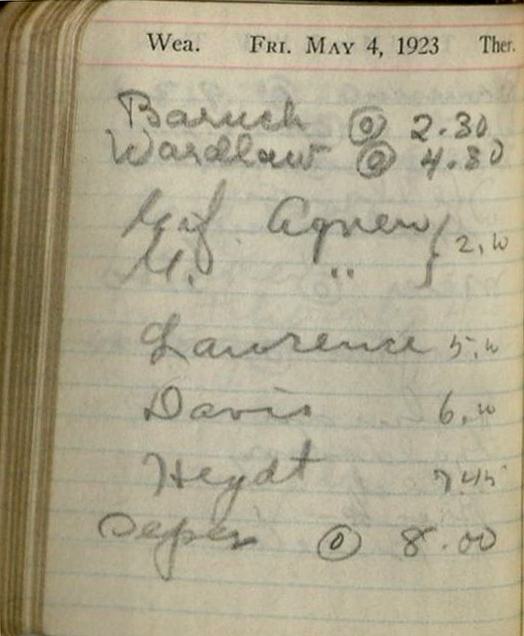 The Vahdah Olcott-Bickford Collection includes appointment books kept by Vahdah from 1922-1924. 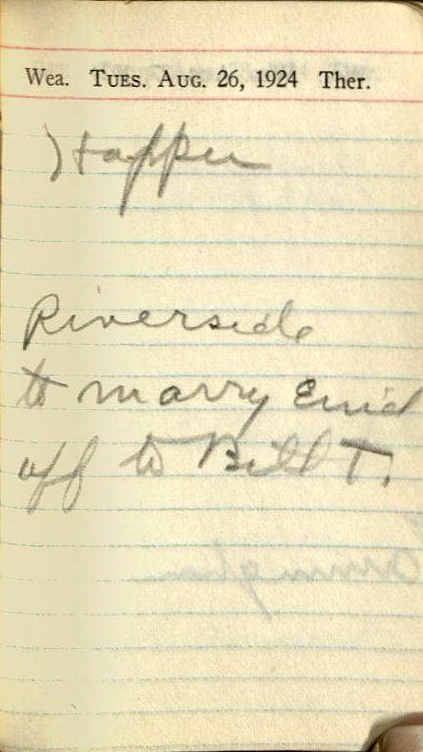 In these appointment books she wrote down when she had appointments with her guitar students, travel plans from New York to California, a reminder to go to Enid and [Bill’s] wedding, and a dentist appointment before a course with another guitar student. 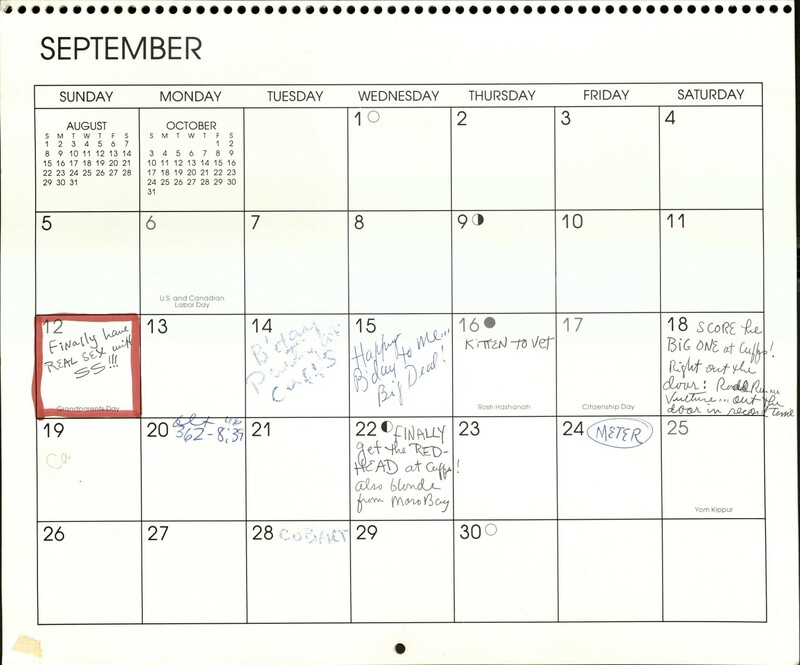 Similarly, in the Bonnie Bullough Collection, a planner from 1994 details Bonnie's professional life as a faculty member and a nurse, as well as her activities outside of academia. 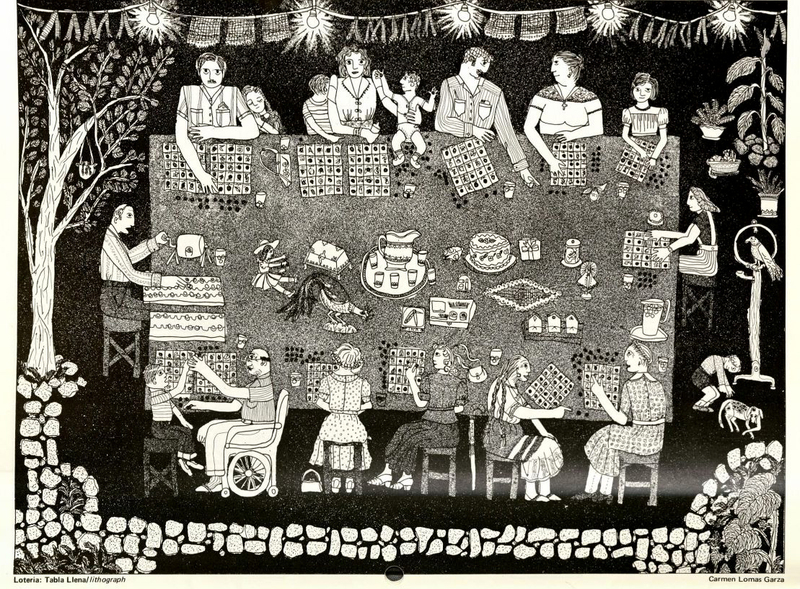 In the Aristide J. Laurent collection, we can see that Aristide had fun with wall calendars by writing personal comments and creating illustrations having to do with daily life. Aristide clearly had many friends, cared for a cat, enjoyed local entertainment, and actively dated. 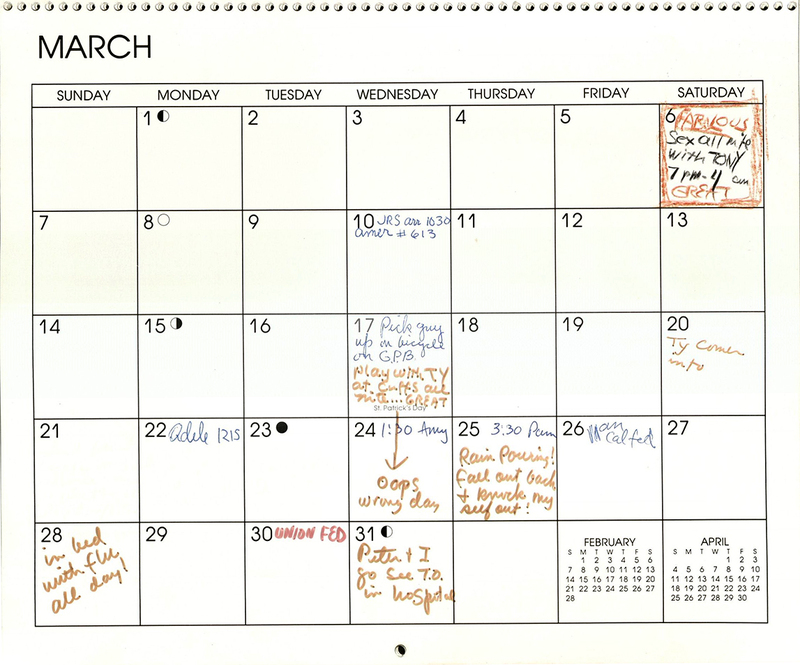 In his 1985 calendar, Aristide added a pop of color to the black and white calendar by creating individual tags for each day that had an event, as well as adding a thought bubble to each month’s Colt man. Julian Nava was a history professor at CSUN from 1957-2000. 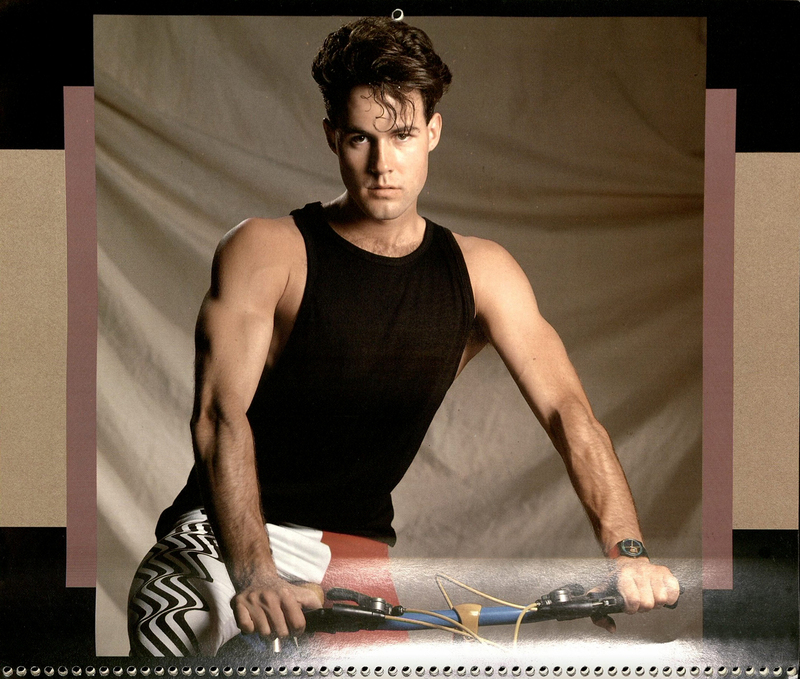 He was also a member of the Los Angeles Board of Education from 1967-1979, and served as the United States Ambassador to Mexico from 1980-1981. 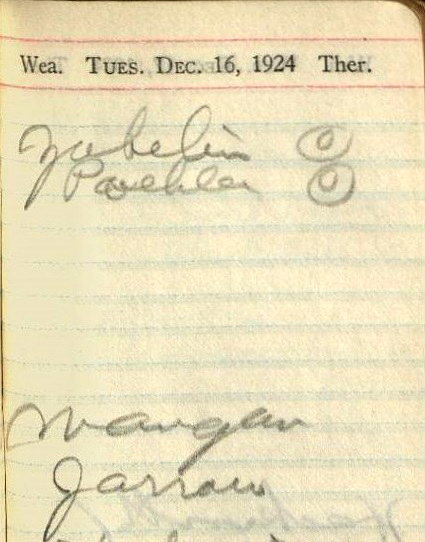 The Julian Nava Collection includes some of Nava's planners in which he noted his activities as the Ambassador for Mexico from morning to night. 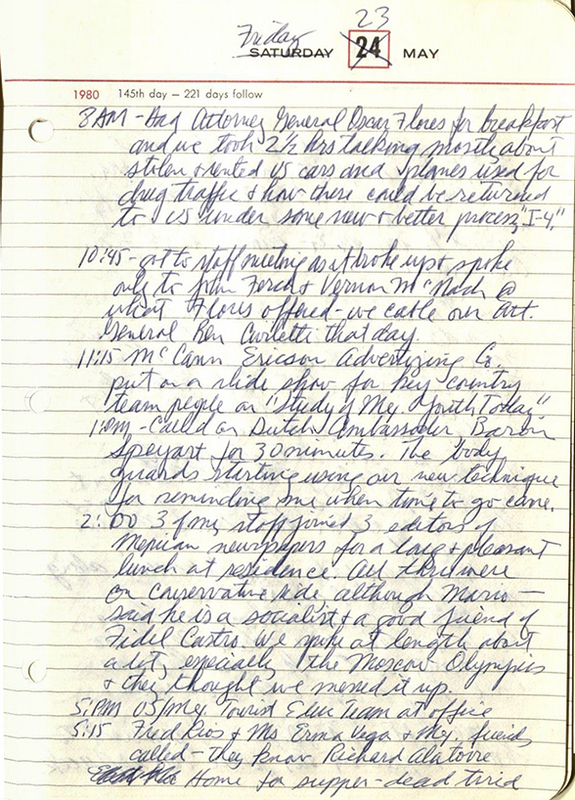 One example of a busy day can be seen on Saturday, May 24, 1980. 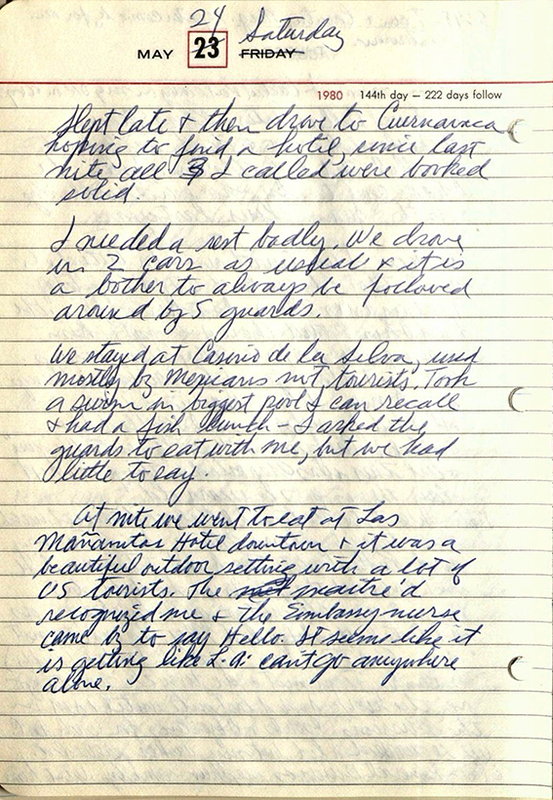 This notation describes a drive to Cuernavaca "in 2 cars as usual & it is a bother to always be followed around by 5 guards." 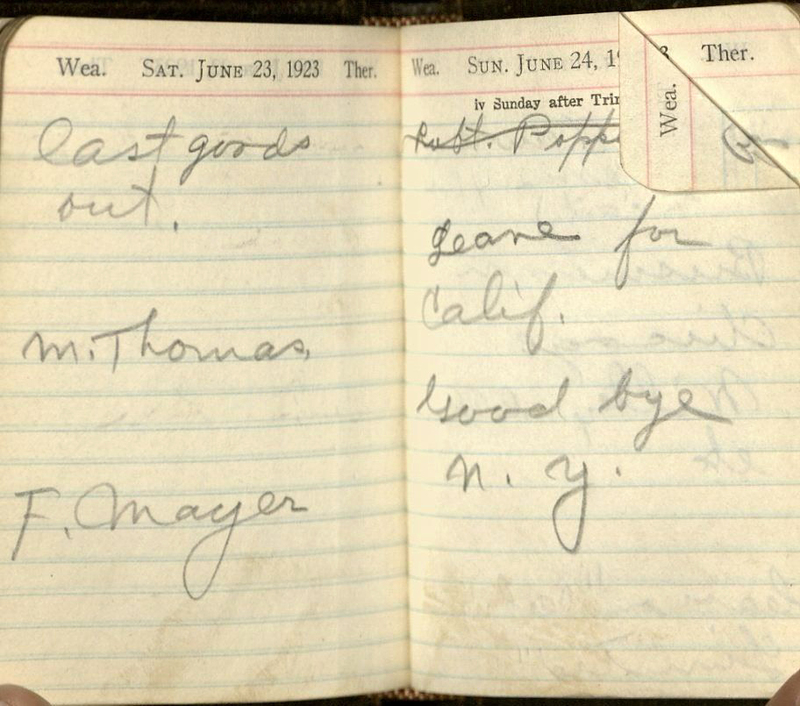 Later Nava notes "I asked the guards to eat with me, but we had little to say." 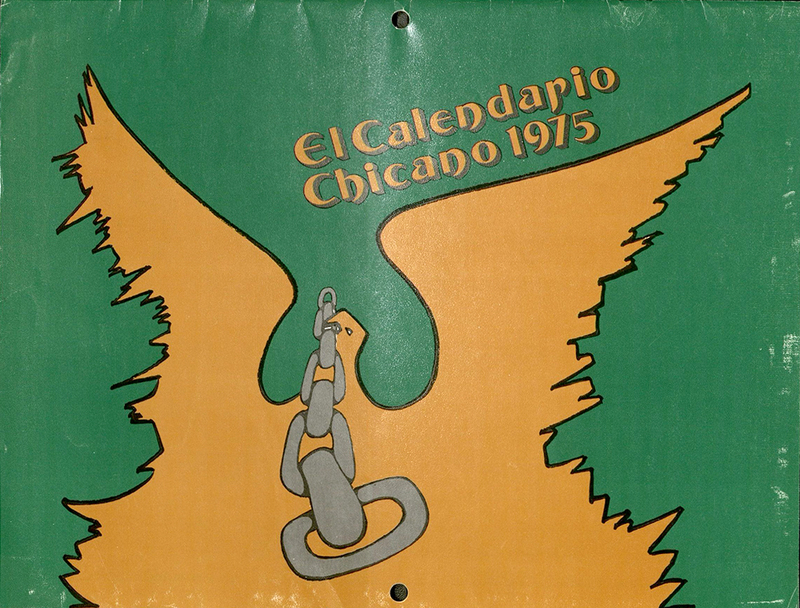 The Rodolfo F. Acuña Collection contains "El Calendario Chicano 1975," a calendar for the purposes of remembrance. 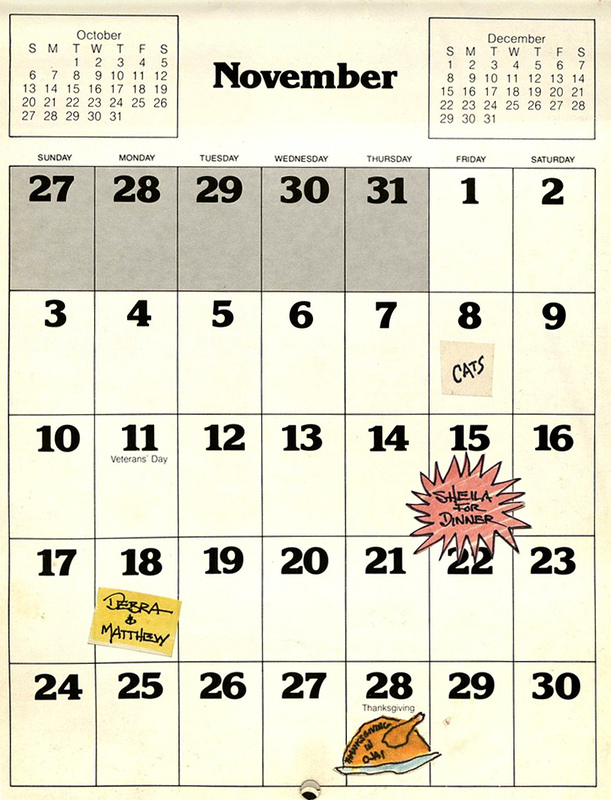 Although there are no personal notations or comments on this calendar, it is still an important part of the collection because it details different events in the United States that have made an impact on Chicana/o's. 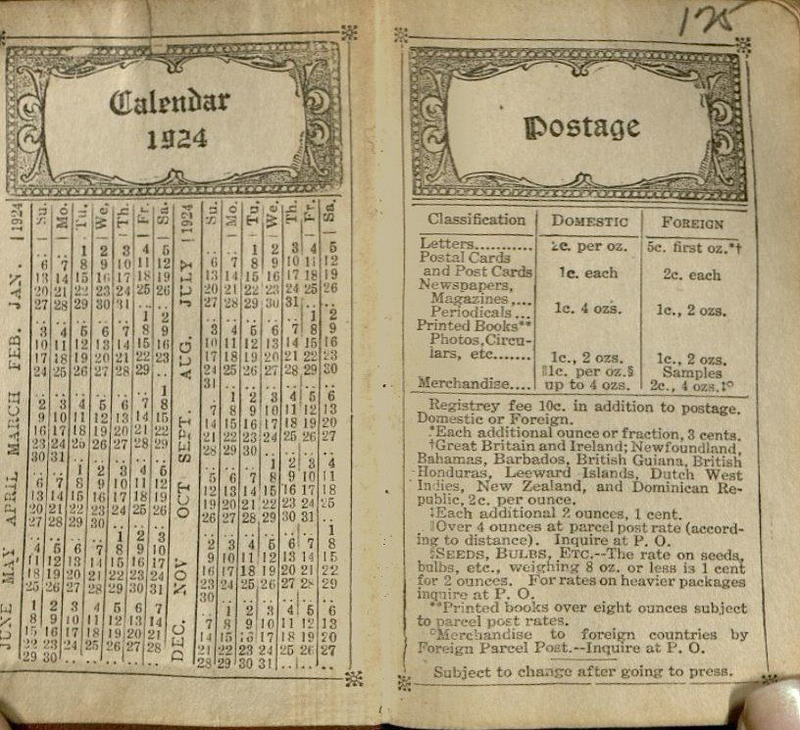 It fills each day with historic events dating between the 18th and 20th centuries.